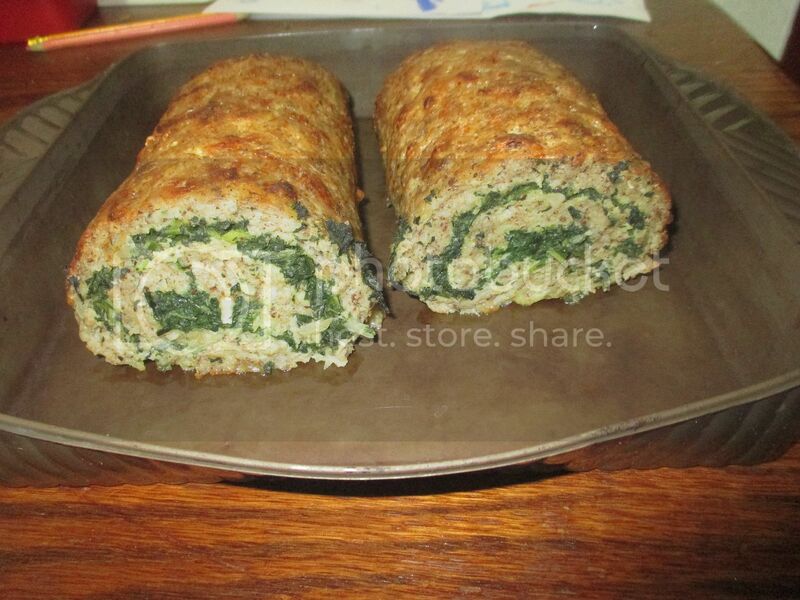 I had wanted to post this recipe for my turkey and wild greens roll up that I made for Thanksgiving dinner already months and months ago, if not over a year ago. But of course, as things happen, I forgot entirely about it, and every single time I went to post it, something else came up. First, I lost the recipe, and needed to make it again so I had the exact amounts to share... and then I forgot, and forgot, and forgot, but I've been saving the photos of this on my camera memory card, using up space, reminding me that I needed to get this posted already. I've been a little busy lately with the new baby and all, and definitely haven't been making anything as fancy as this lately, but I figured, why not share this fancy but cheap recipe now, with Easter and Passover coming up soon. You can use whatever greens you want for this recipe, whether foraged greens like mallow or wild mustard or sow thistle, or you can use spinach or swiss chard or whatever. 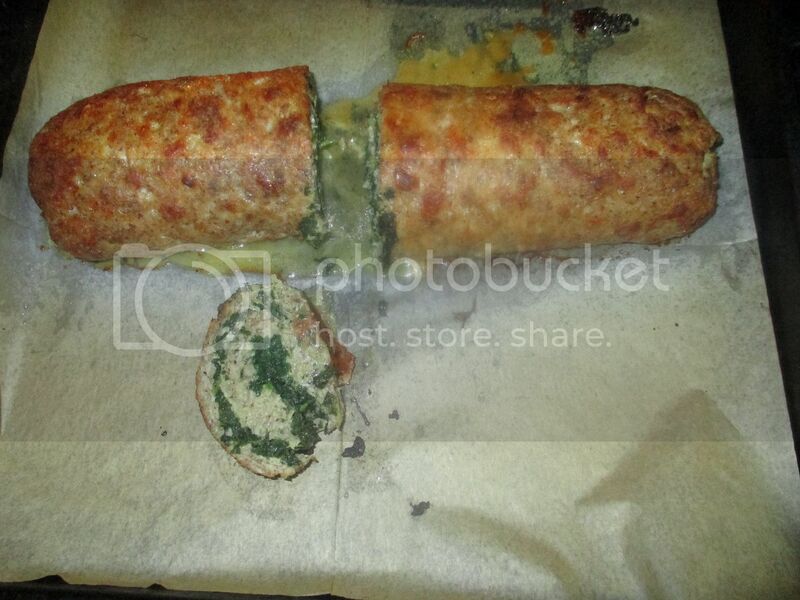 It tastes delicious and has been a hit with my family and guests both times I made it. 1. Mix the ground turkey/chicken with the flax seeds, potato flakes, onion flakes, nutmeg, salt, and pepper, so it is all uniform. 2. 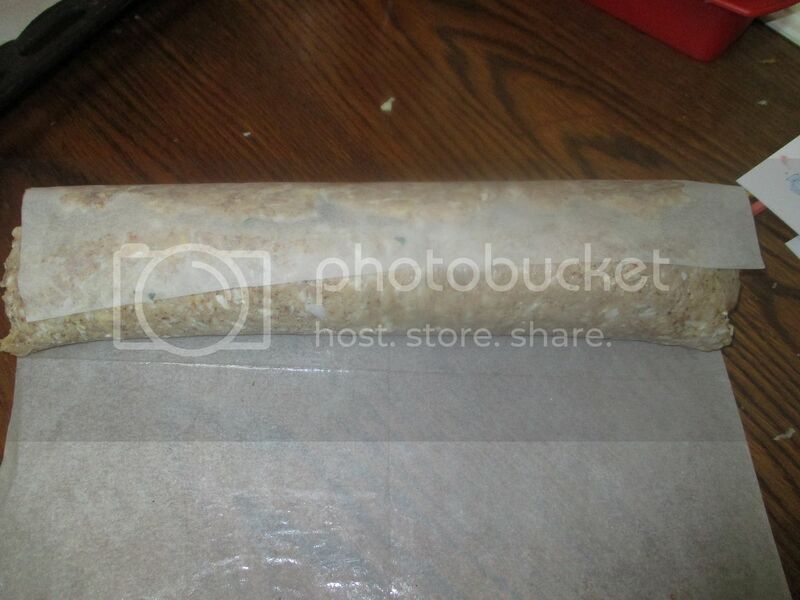 Spread a piece of parchment paper with oil- rub it all over so that the meat mixture doesn't stick on. 3. 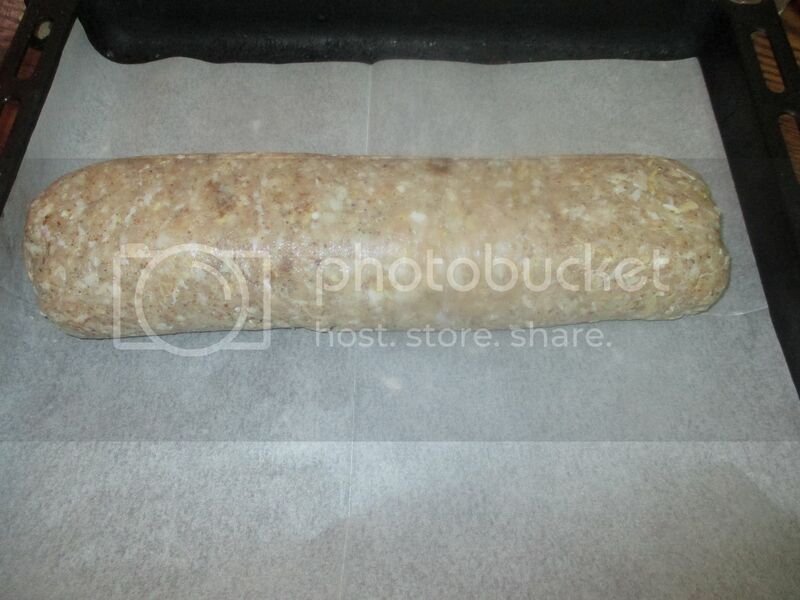 Flatten the meat mixture all over the parchment paper, so that it is roughly in a rectangle shape. You want it as even as possible. 4. If your greens are sauted, blend them so they are a uniform texture, and can be smoothly spread. 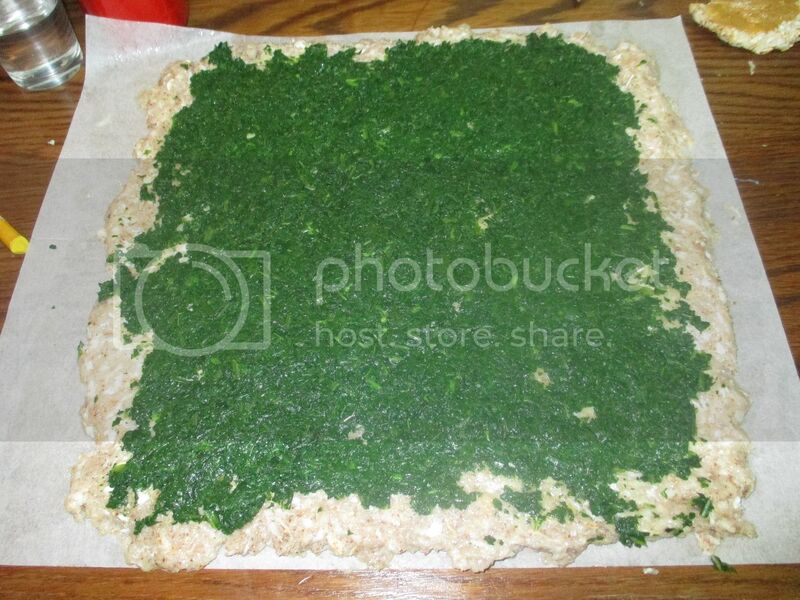 If using frozen greens, squeeze out the liquid. 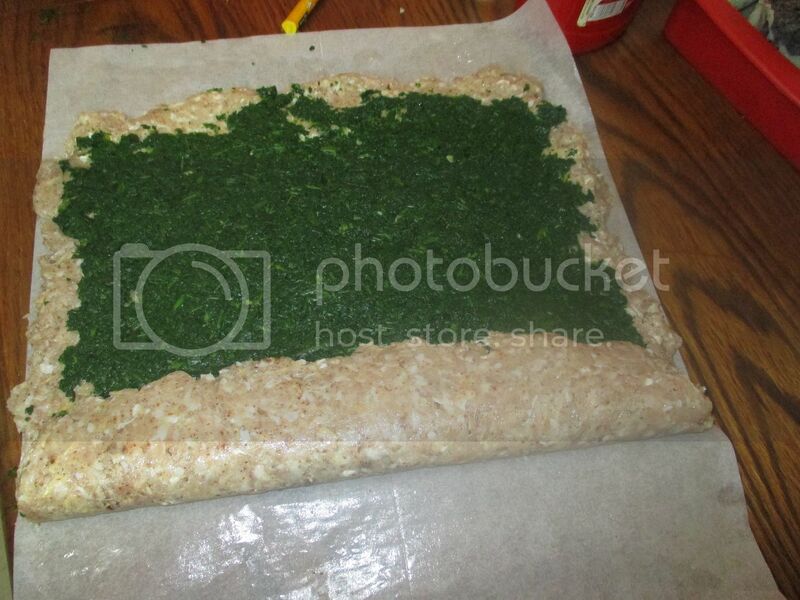 Spread then smoothly over the meat, keeping the greens slightly away from the edge on one side. 5. Life up the parchment paper and the meat mixture with it, rolling it onto itself, carefully separating the meat mixture from the parchment paper. If you used enough oil, it shouldn't be stuck on. Roll it in the direction that the side with the greens not all the way to the edge of the meat will be the outside of the roll. 6. Roll it the rest of the way up, so you have a jelly roll style log. 7. Transfer the roll to a baking tray, carefully, making sure the roll is seam side down. ...But if you're not sure if it's fully cooked, cut out a slice from the middle and check to see if it is fully cooked/solid. 9. 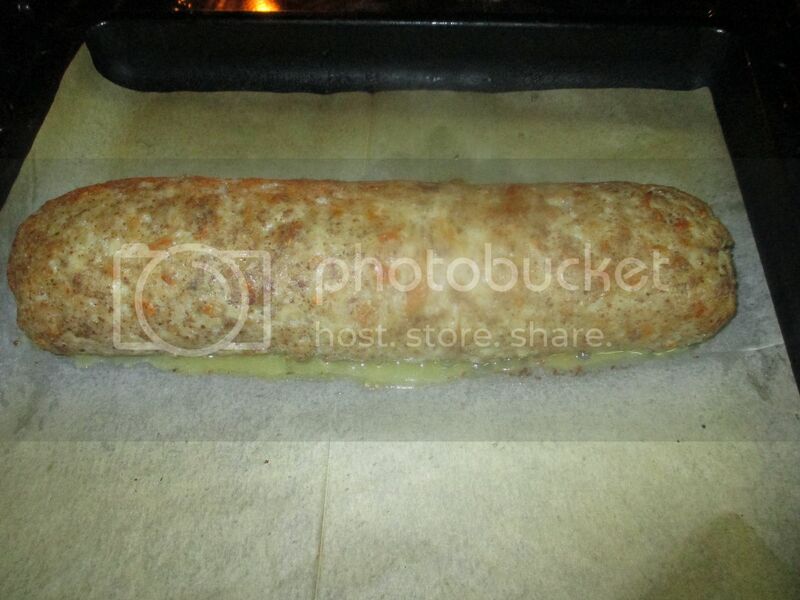 And now, voila, you have a pretty, swirled turkey/chicken loaf recipe that tastes as delicious as it looks. You can serve it either by placing the logs on the table, with both ends cut off, so that the swirl's easily visible, or by cutting it into individual slices, so that each person gets a pretty swirled piece on their plate. I love fancy, cheapo meals. Especially when they taste good. And this certainly fits the bill. What is your favorite fancy, cheapo, and tasty meal? This looks really good! I'll try it -- chicken's cheap right now. Anything you could substitute for the potato flakes? I don't know what your food restrictions are. 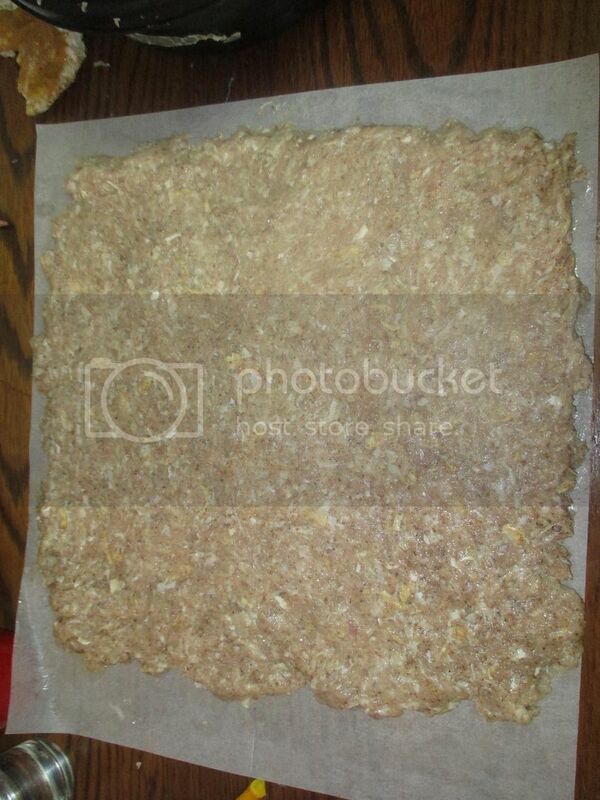 I use potato flakes instead of bread crumbs or oatmeal to keep it moist- so i guess you can substitute that in reverse, but I can't promise how it'll come out.